With Microsoft Teams you can set up a Class Team. Class Teams include a Class Notebook (OneNote) which once set-up provides a Collaboration Space that allow teachers and students to collaborate on group projects. The Collaboration Space in the Class Notebook is by default available for all members of the Team to edit. What if you want to use the Collaboration space for group work with specific student groups? For this scenario you can create new sections in the Collaboration Space for example Group 1 , Group 2 and so on. This provides separate sections for students to work within. These can be added when you set-up an OneNote Class Notebook in Microsoft Teams. 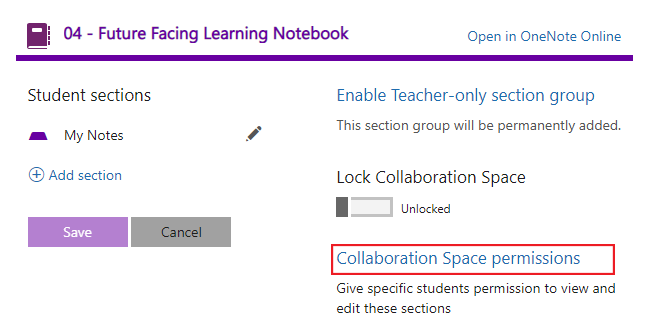 If you have an existing Class Team with a Notebook already setup you can still add sections to your collaborative spaces. 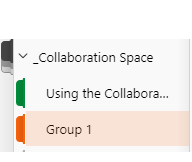 Firstly, open the Team Class Notebook click within the Collaboration Space and select Insert and New Section. This will allow you to create custom sections for each of your groups. Now you have group spaces you will need to set permissions to give students access to their allocated group only. 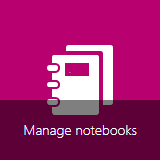 Currently you will need to do this in the online app version of OneNote Class Notebook within Office 365. Click on the link to Manage Notebooks. The Manage notebooks page will load. Scroll down through your notebooks to find the Team you want to allocate group spaces too. Within your Team Notebook access the Collaboration Space permissions area. You are now able to Manage Section Permissions select the pencil icon next to your group collaboration space and ensure only those students whom you want to access the group are selected within each of the collaboration spaces. When finished Save your selections. Now when your students access the Class Notebook from within the Team they will only see their group page in the Collaboration Space. As always, if you have any questions about any of the above, please feel free to drop the Digital Learning Team an email at elearning@tees.ac.uk.